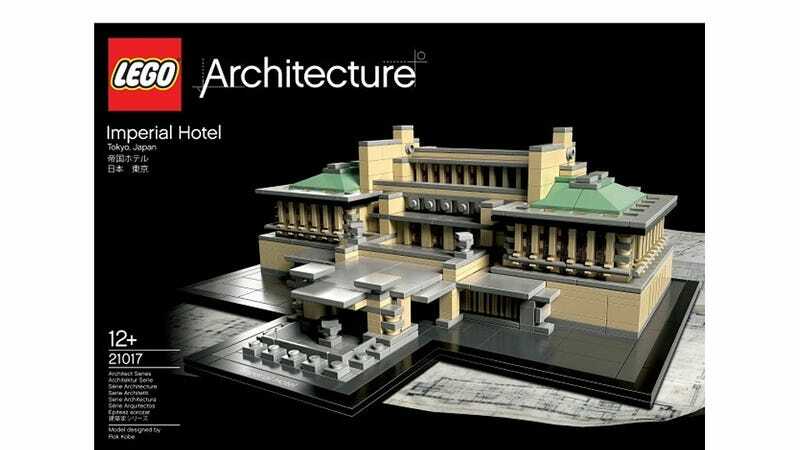 Lego has revealed the first addition to its Architecture series for 2013, and once again the company is paying tribute to a master of the craft—Frank Lloyd Wright—with Tokyo's Imperial Hotel. The series has already included several of Wright's creations before; like Falling Water, the Guggenheim Museum, and the Robie House, and it's unfortunate that this time around it's for one of his structures that's no longer standing. So for somewhere around $90 to $100 you can secure yourself a small piece of history composed of 1,188 tiny plastic bricks.